A gaggle of new Dragon’s Dogma: Dark Arisen screenshots for your viewing pleasure! 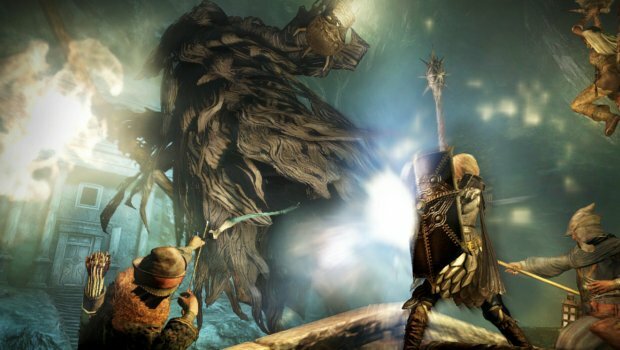 Dragon’s Dogma: Dark Arisen is now out and available, but some questions still remain for those who haven’t picked this title up. What does a Dark Arisen look like, for example? What does it look like when a jump-kicking pawn is smacked aside by a lumbering, muscular demon? Do the skeletons in this expansion appear in full suits of armor? Well, all this and more can be answered by checking out the latest screenshot gallery inside!